TulAmmo Centerfire Rifle Ammo for Personal Protection/Target. 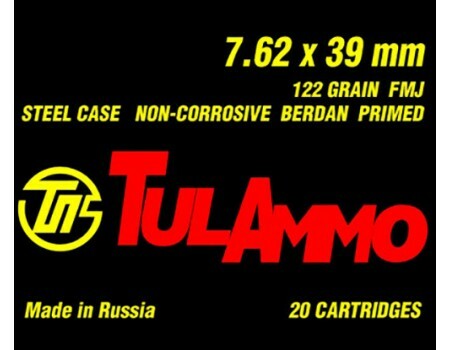 7.62x39mm, 124 GR, Full Metal Jacket. Box price, 20 Rounds/Box.